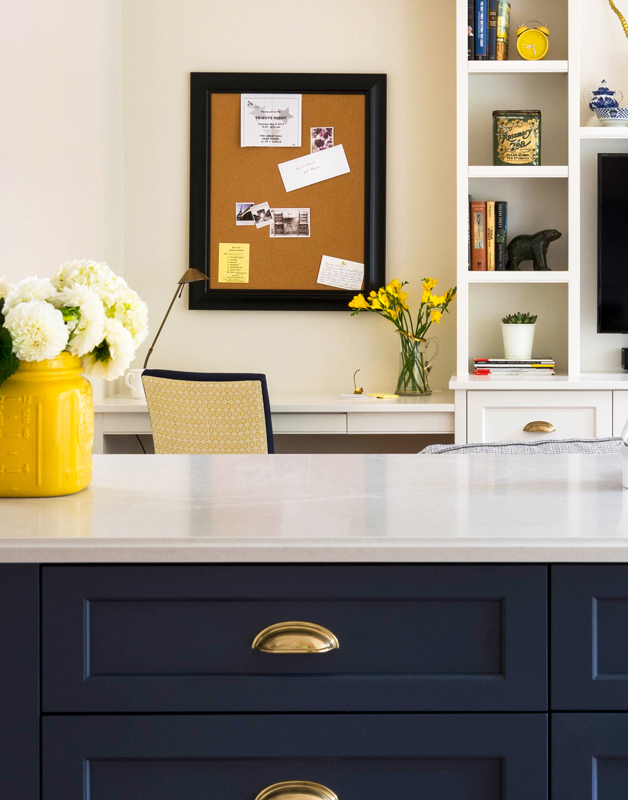 A retired couple headed to Florida for the winter and came home to a completely renovated and decorated new condo. 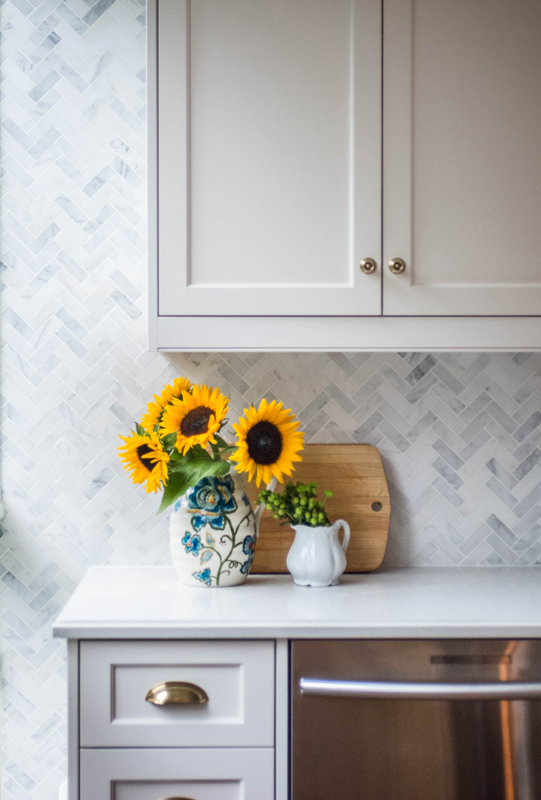 After 40 years of living in their 150-year-old Toronto heritage home, these retired homeowners were ready to start their next chapter in a condo located down the road. Looking for a fresh perspective, they enlisted the help of Rebecca Hay of Rebecca Hay Designs, a Toronto based design firm, to re-imagine their newly purchased but dated condo and find a way to blend some of their own traditional furnishings with new ones, to create a warm and inviting entertaining space. 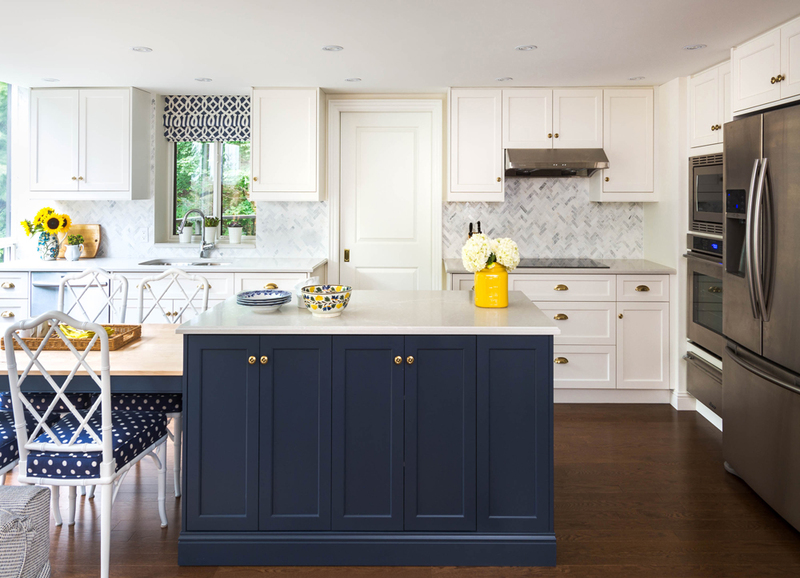 When asked how this project came together, Rebecca called it “a dream project.” They were able to choose the best heirloom items, while also mixing in modern fabrics and lighting to create a friendly and sophisticated home. 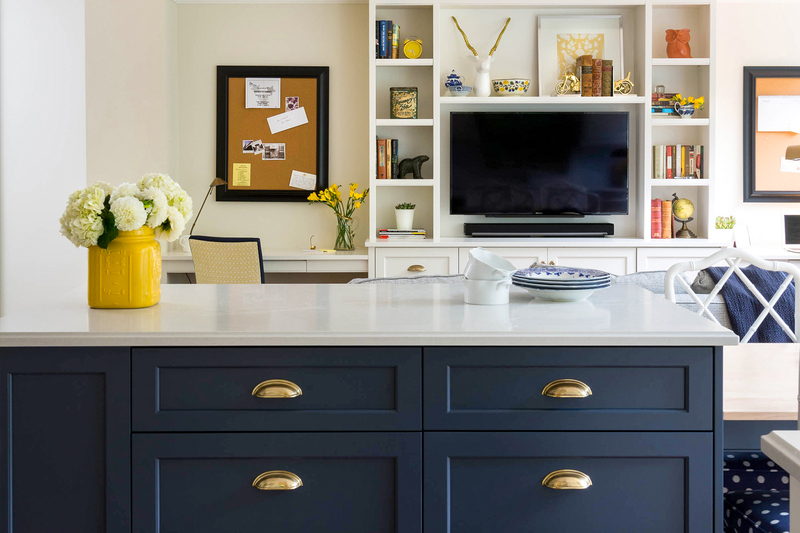 The homeowners gave Rebecca and her team complete creative freedom and entrusted the full scale reno and décor project to her, all while they wintered down south. The condo needed a complete redesign and overhaul. 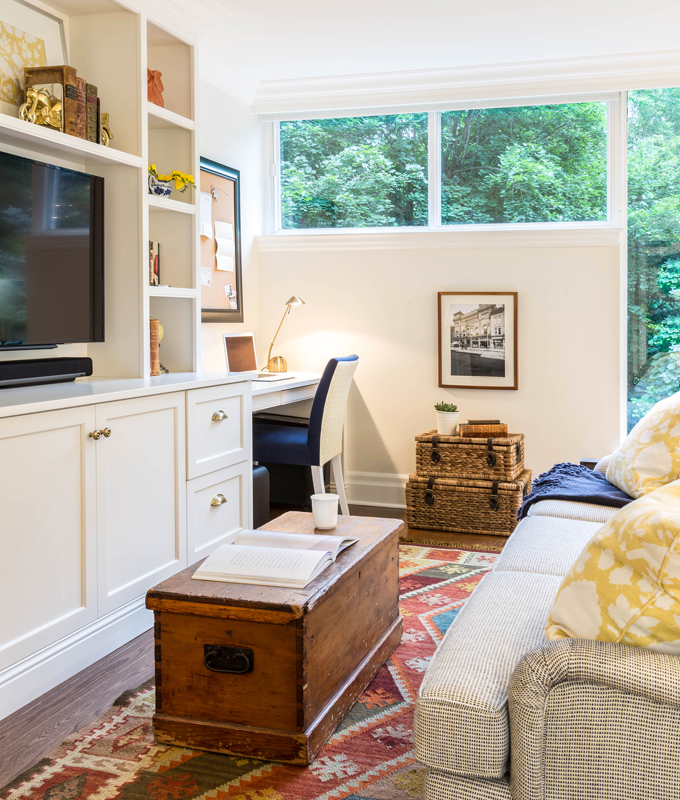 The clients brought the Rebecca Hay Design team on to rethink the layout and completely redesign the entire unit. They decided to take down walls and open the new kitchen up to a family den. Adding custom builtins allowed them to include his & her desks, as well as an entertainment unit. 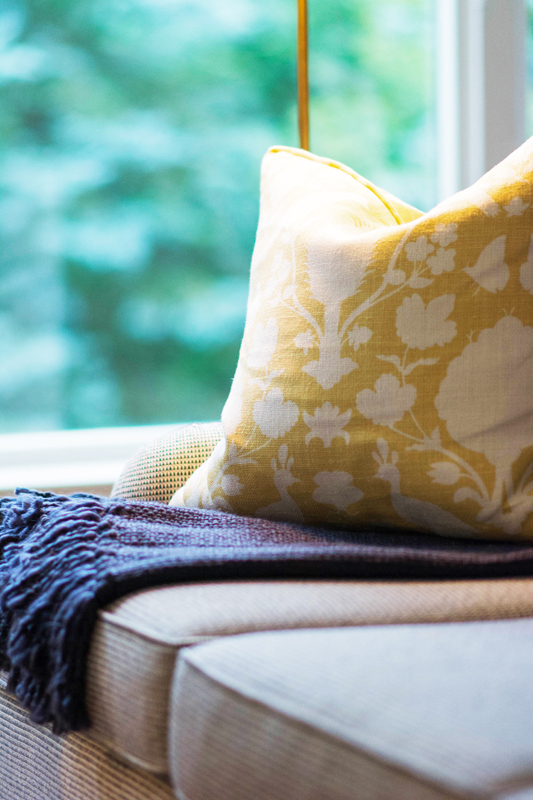 Moving to a new space can force you to rethink how you use your home and how you live. 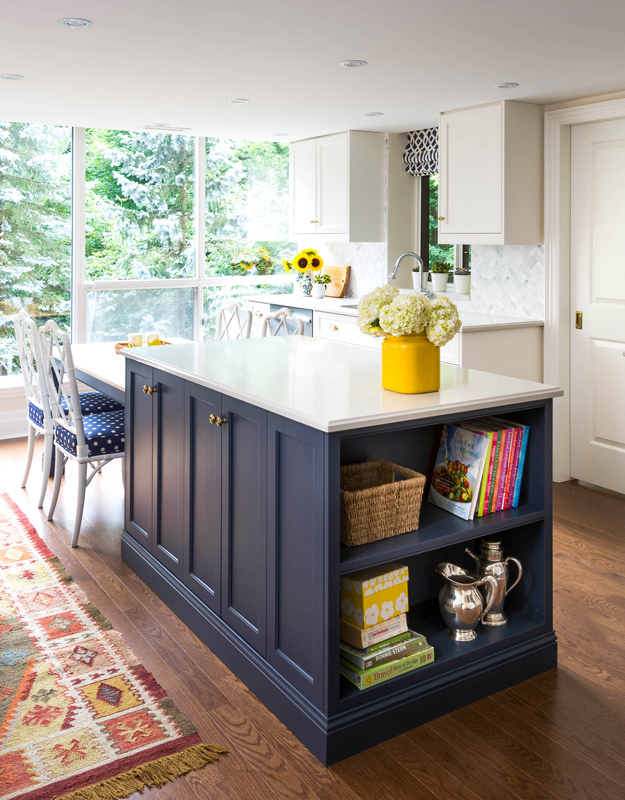 The clients had wanted a separate kitchen table, however the space was too tight, so Rebecca designed a kitchen island with extension at table height to serve a dual purpose. Initially resistant to the idea of open concept living, it was now the couples favourite area of their newly designed home. Purging 40 years’ worth of collectables and furnishings can be a daunting task, one that Rebecca and her team relish. Keeping some old heirloom pieces and complementing these with some modern elements makes the design inviting and classic. The homeowners silver platters and bowls now display beautifully with old leather books and modern trinkets. 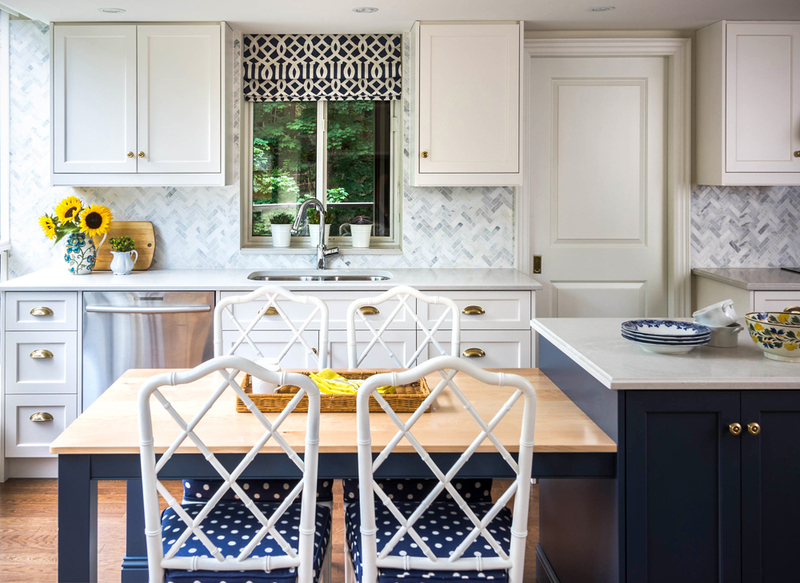 The kitchen island chairs were refurbished with white paint and a modern patterned fabric. 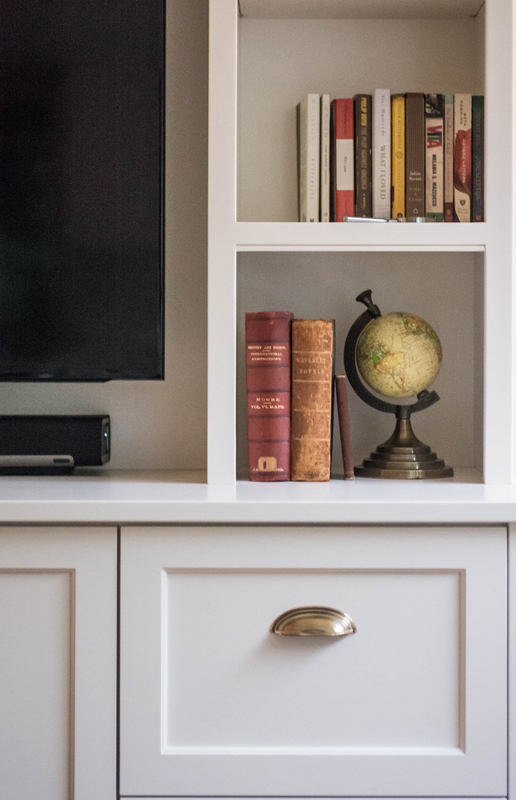 When an item has great design lines and is solidly built, it’s easy to repurpose and give it new life. The chairs were a symbol of the condo itself, what’s old becomes new again. 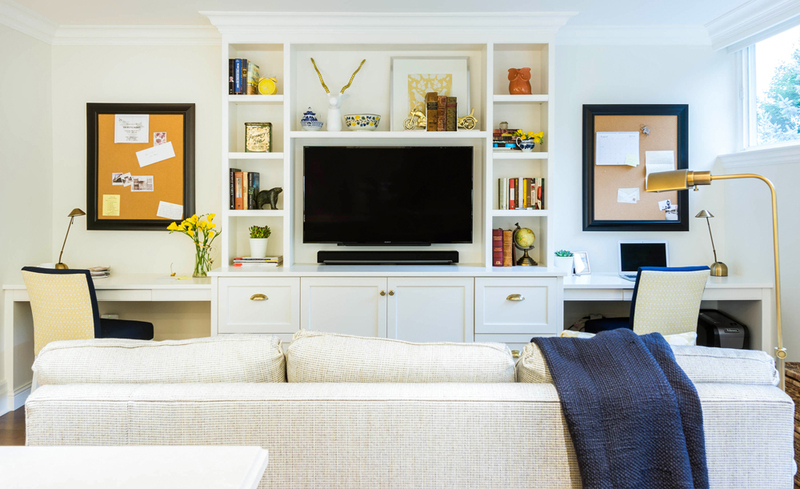 Rebecca and her team encouraged her clients to repurpose old finds where suitable and focus on new upholstered furnishings wherever possible. The sofa was a custom-built pull-out sofa bed, for extra guests and for TV watching. 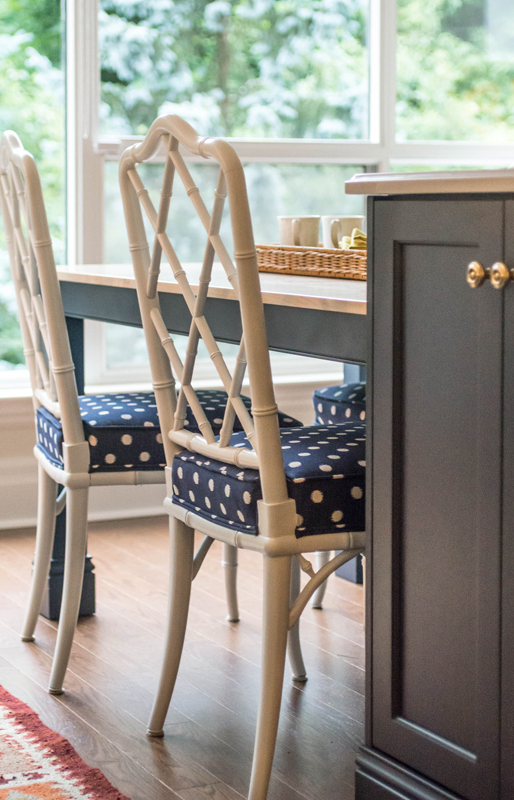 Using custom built Canadian made furnishings wherever possible is always a designer’s goal. 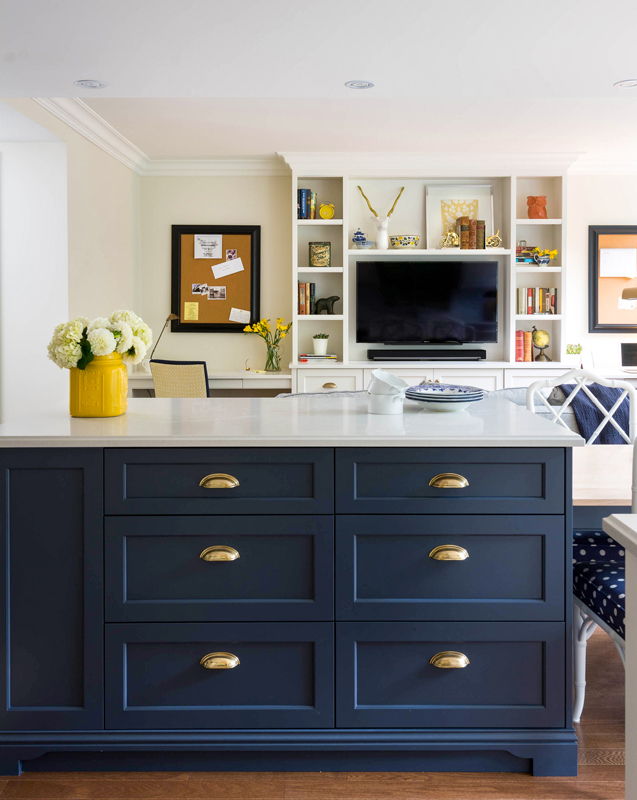 Custom kitchen cabinets in rich navy and warm whites with sparkling brass hardware, added for a sophisticated feel while keeping this bright airy space fresh and inviting. Large islands are great places for food prep and layout appetizers. The bar was an extremely important element to have within the overall space for this couple, so Rebecca incorporated the bar into the kitchen area to allow for additional liquor storage and wine glasses. It was the perfect little perch for pouring bubbly to celebrate their new home.